Our trip to Houston was incredible – fast and furious. 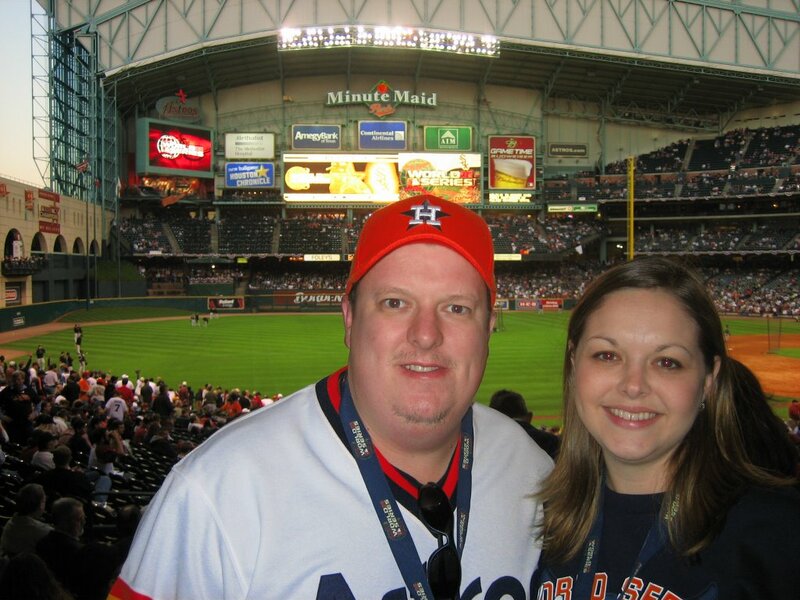 We arrived at Minute Maid Field at about 4:30 and the place was already a buzz with the Stros down 3 games to none. “We Bee-lieve” signs were everywhere in honor of the killer bees. I knew in my heart this was likely to be a tough night, but to be at the Series and to see Bagwell and Biggio one more time, it was worth it all. We sat next to some real nice White Sox fans who flew all the way to Houston to see their team win. One was a 2nd generation fan…him and his dad had waited all this time. 1. They played the longest MLB playoff game in history to beat the Braves in the Division Series. 2. They dealt with what some call “the biggest homer ever” when Albert Pujols blasted one off Brad Ledge just one out and one strike away from going to series by winning the next game in St. Louis in convincing fashion. 3. Julie and I met Brad’s parents in line at a concession stand and talked to them for awhile. They were some nice people. 4. Game 3 of the Series was the longest World Series game ever ending at 1:30am CST, with the Stros losing a backbreaker 7-5. 5. Games 3 and 4 ended on the same day! 6. Game 4 went longer than any other final World Series Game without a run being scored until the 8th inning. 7. The Series probably featured the last games of Roger Clemens and Jeff Bagwell – too future Hall of Famers. 8. The Series was filled with drama unlike others complete with bad calls, incredible defense, amazing pitching and last minute heroics, most by the White Sox. 9. This was the first World Series for the Astros and the first time the Sox had been since 1959. 10. The Astros won the NLCS and their first World Series birth after playing 7128 baseball games. 11. 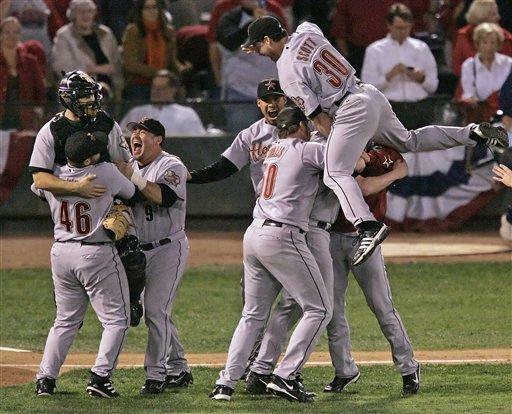 The 2005 Astros were the first team to start 15 games under .500 to win the NLCS since the 1914 Boston Braves. ASTROS GO TO THE SERIES! We have tickets for Game 4 in Houston. I can’t wait. Well, in true fashion of our lives runing parallel to each other, Clint and Alyssa Locks welcomed their new baby girl to the planet yesterday! Girls are ruling the world! Congrats! Our girls will be buds…..